DINDIMA Group has released a SuperSleuth clock camera that is capable of detecting moving objects in specific defined zones, stores alarm images, and communicates to a computer directly or via a telephone line. It is an intelligent clock camera with programmability and advanced features, and can be mains or battery operated. 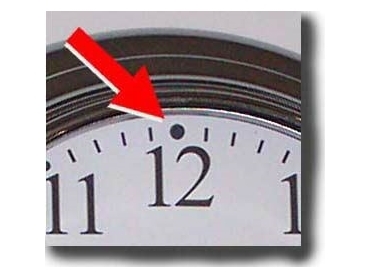 Traditionally, small cameras have been concealed in clocks. This configuration requires coax cable wiring and a recording device at the other end. The system needs to be monitored and is extremely time consuming, as the recording has to be reviewed. The SuperSleuth clock has solved this problem. It has a built-in digital camera and also features sophisticated video motion detection (VMD). The VMD has four rectangular rubber band zones of any size and can be positioned anywhere in the view of the camera. This is superior to other motion detectors as only selected areas or objects can be targeted. Upon VMD or external alarm trigger, SuperSleuth clock stores time and date stamped images to a rotating database. The flash RAM stores up to 700 alarmed images or up to 2500 half resolution monochrome images. The alarmed images are held within the clock and cannot be erased. When the database is full, the new image overwrites the oldest image. This eliminates any maintenance such as changing videotapes. The images can be downloaded to a computer via the four-metre cable provided. When connected via modem, the captured images are transmitted to a remote computer or central monitoring station for video verification. It can also transmit across the GSM (mobile phone) network via an optional GSM modem. The SuperSleuth clock offers covert video surveillance for homes, apartments, small commercial sites, shops, factories and warehouses.